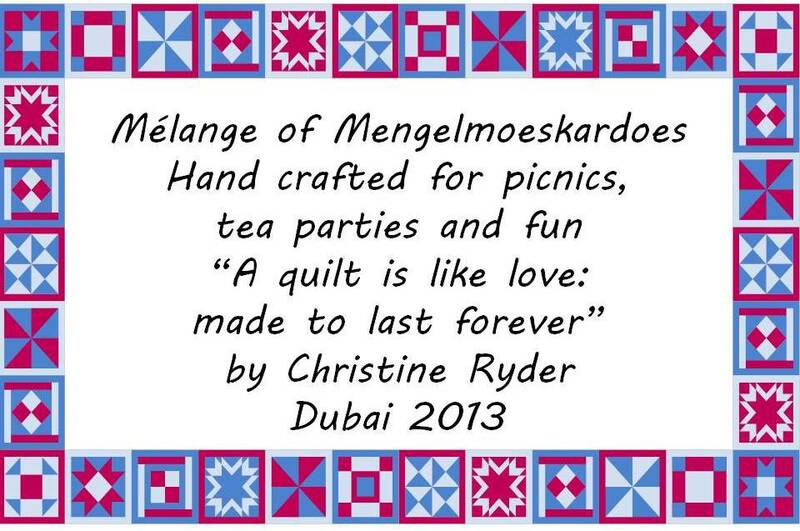 This entry was posted in Quilting, Sewing and tagged Afrikaans, Canada, Chrissie, Dubai, Friends, Melange, Mengelmoeskardoes, quilt, quilting, Ryder, sewing, South Africa by christianeryder. Bookmark the permalink. A incredible work of art befitting the story that accompanies it. A show case of your many different stitches too. A girl after my own heart. 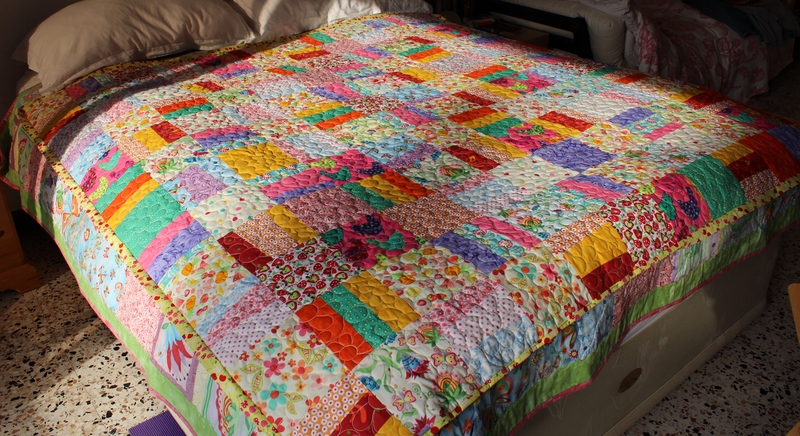 It’s a quilt just oozing joy!! 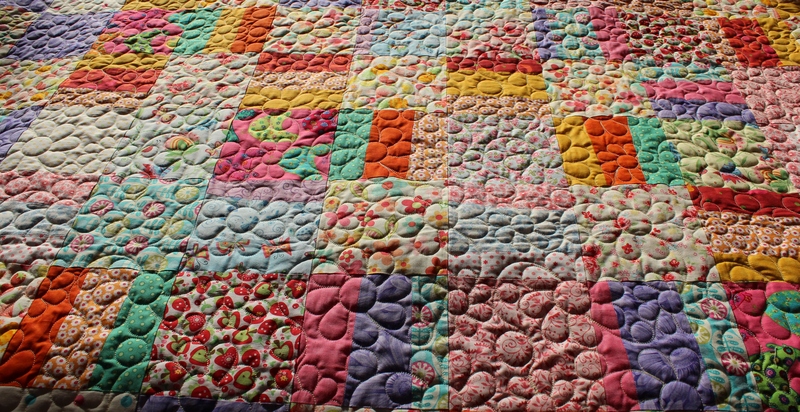 It would be very difficult to be down in the dumps with a quilt like tis in your house. Hey Cindi. 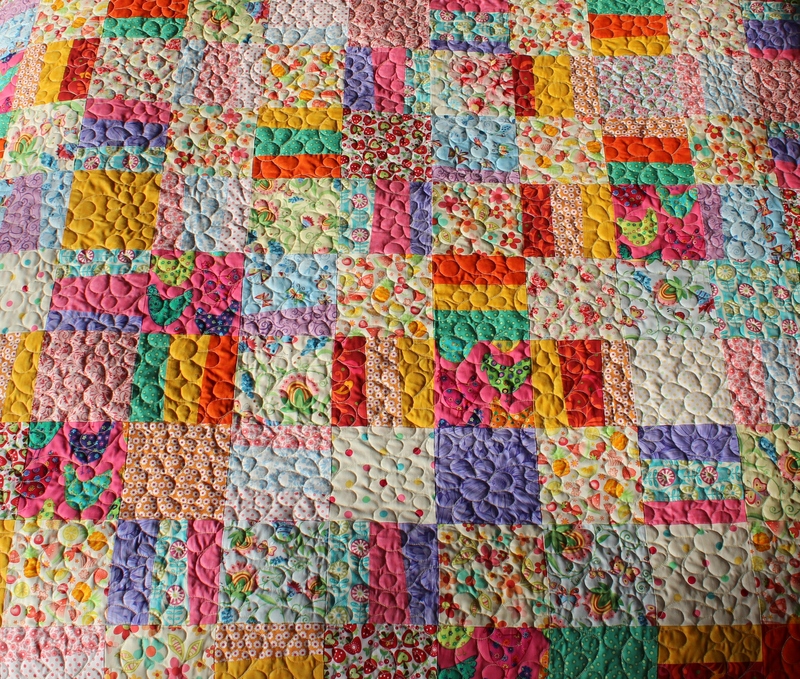 Thank you for your lovely comments, I’m pleased you like the bright colours. 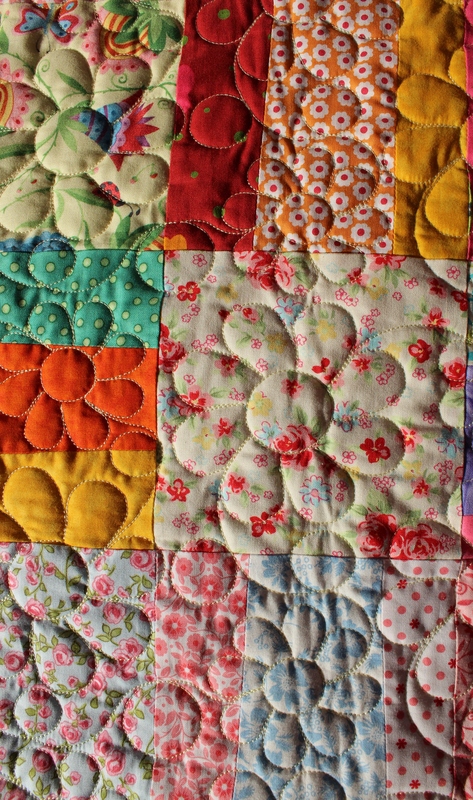 I wonder if you recognise some of the fabrics? The flowers were done on the long arm at Craftland. The girls are teaching me how to use it. Lucky me eh?